Famalco Group has seen substantial growth over the years, branching out into different industries and building a diversified portfolio of successful brands. The increasingly successful family business owes its roots to Fruitland Company Ltd, which is set to celebrate its 25-year milestone on March 9. The story of Fruitland originated in the late 1980s, when the Mallia brothers, Hermann, Sandro and Etienne, found themselves selling various groceries around the island. 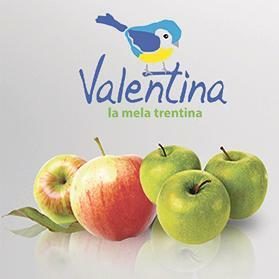 A few years later and inspired by a family legacy which saw their father and grandfather sell fruit down the busy Ta’ Liesse Hill in Valletta, the brothers took the initiative to start their own company in 1994, selling fruit and vegetables under the moniker ‘Fruitland Company Ltd’. The brothers’ hard work and dedication towards this company translated into years of success, leading Fruitland to become one of Malta’s largest vegetable importation business. Throughout its years, the company has managed to acquire several prestigious brands, specialising in a wide range of products. Among others, the famous GIOIA bananas, Valentina apples, Diamond of California walnuts and Fatina dried fruits and nuts have made their way into Fruitland’s portfolio. Maintaining their effort to acquire the freshest products of highest quality, the fruit and vegetable importation business has also successfully set up strong relationships with numerous suppliers in Europe, Africa and America. As Fruitland nears its quarter-century anniversary, the company looks back at its history with pride and with a sense of gratitude towards all its employees and affiliates who have in one way or another contributed to Fruitland’s story. For more information, call (+356) 2339 2339. Fruitland Company Ltd is a fresh produce business unit within Famalco/Building Business.